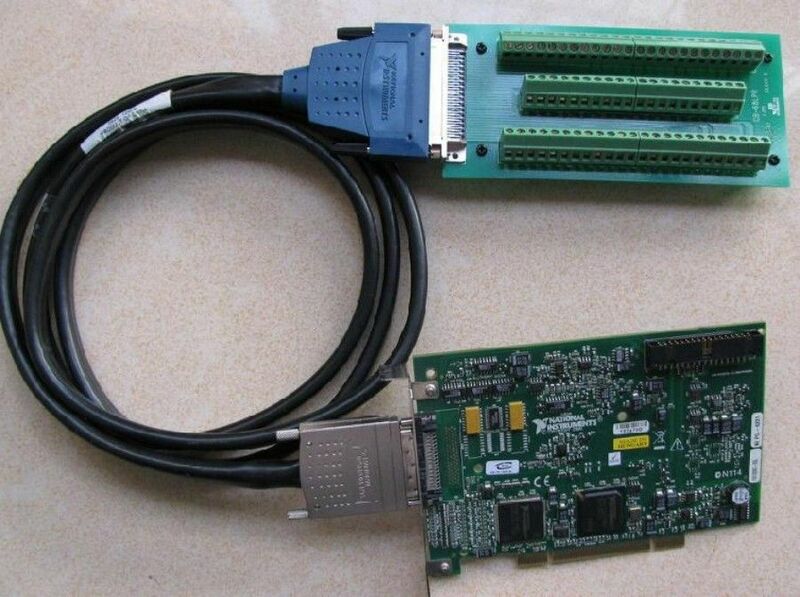 To give this project maximum flexibility the DAQ inputs and outputs were split onto two separate DAQ devices allowing for separation both physically and by task of the user interaction and oscilloscope output. A USB DAQ device is used for the user interaction while an internal DAQ device handles the output buffers and showing the desired waveforms on the oscilloscope. 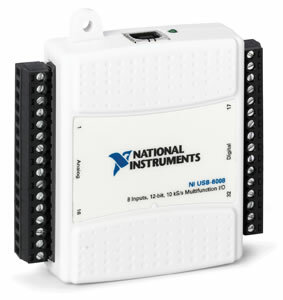 National Instruments’ USB-6008 is a low cost general purpose DAQ which is capable enough for the user interaction of the program. This allows for separation of the user side which can be placed in a different location to the output DAQ if required. 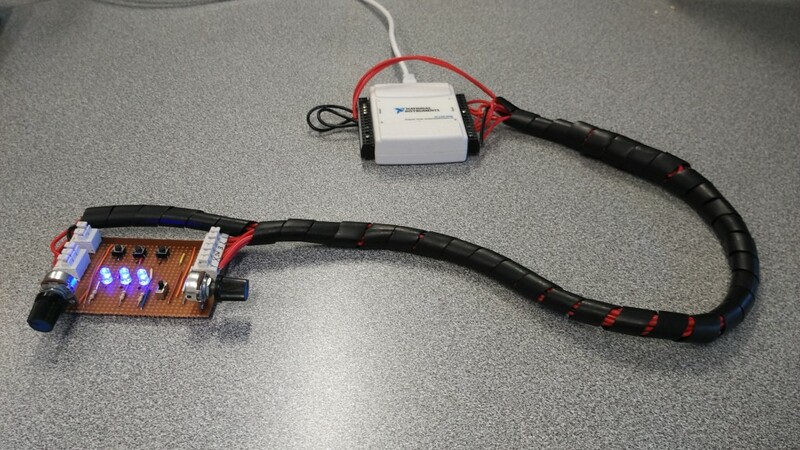 The assembled user controls are pictured on the below left and the USB-6008 is pictured on the below right. The NI-6221 is used for high speed output to the oscilloscope where hardware timing is used to output both channels at 100,000 points per second. In implementing this, the output buffer is cyclically rewritten by the program which makes for a smooth user experience. This high speed hardware timing is not available on the USB DAQ. The NI-6221 is shown below.